Suitable for men and women, young and old, or groups large and small, quad biking is an exciting activity no matter how much experience you may (or may not!) have. Our top spec KYMCO quad bikes are fully automatic, making them easy to use for the novice user, at the same time as having the power to challenge the more experienced. 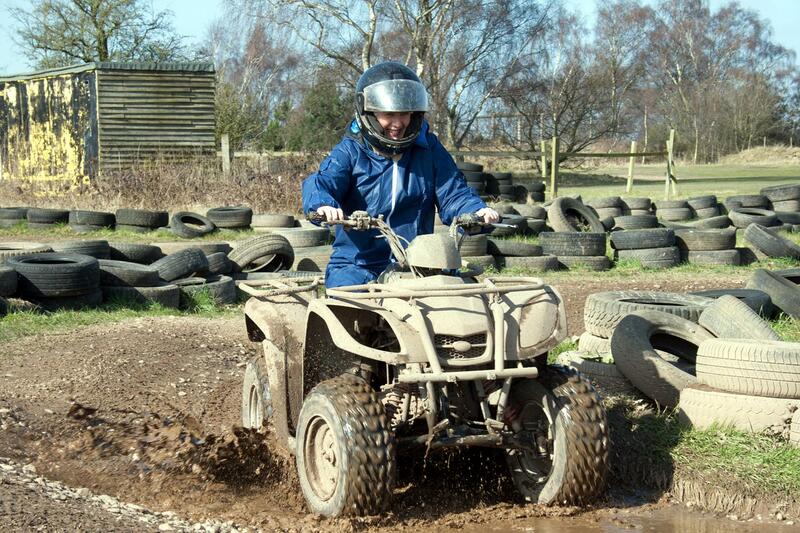 For the junior quad bike rider, several laps of one of our targeted bike tracks await. If completed safely, you will be invited to follow a marshal around our junior quad bike trail. 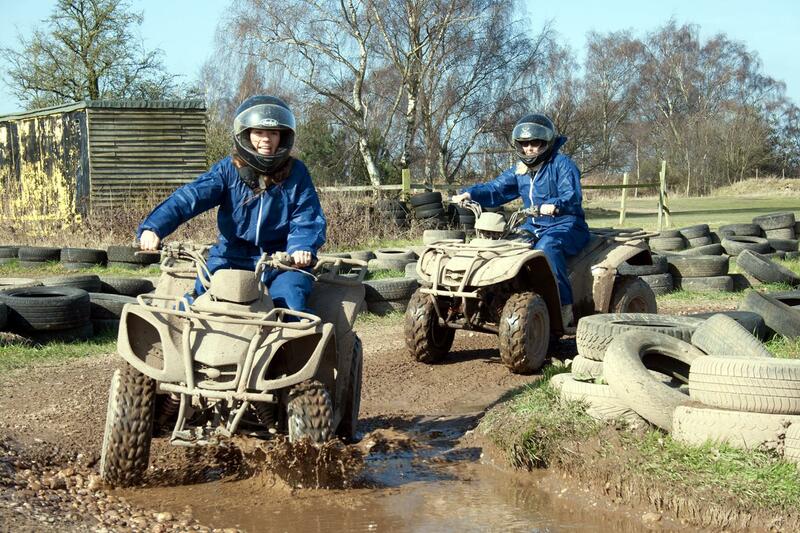 Adult quad bikers will ride around our larger quad bike trail, led by your marshal around virtually all of our 60 acre site. Our purpose built track will lead you over hills, in and out of ditches, and through rough woodland terrain. Both individual and group sessions are available to challenge yourself or a group of friends. A thorough safety briefing and full safety equipment is included to make this a fun and memorable experience for everyone. The session will run as your own private activity, so that you can comfortably go at your own pace with no pressure from other users. Please note that for legal and safety reasons we do not permit you to use your own quad bike on our site.